Johnny English Strikes Again (film, 2018). A 2018 action comedy film with "PG" rating by Universal Pictures. Directed by David Kerr. Official Trailer. 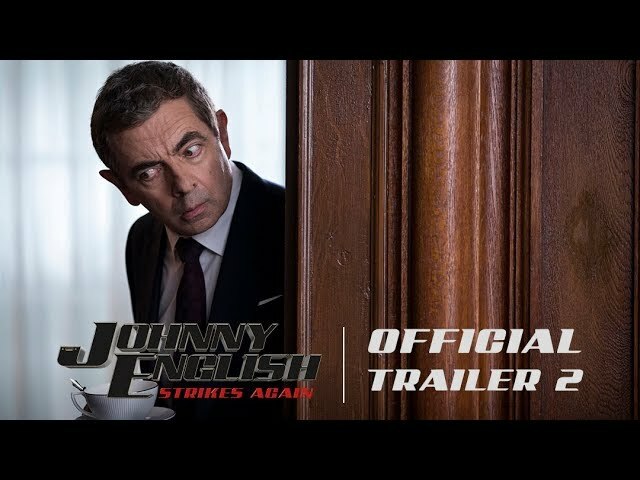 Johnny English Strikes Again is a 2018 action comedy film directed by David Kerr. 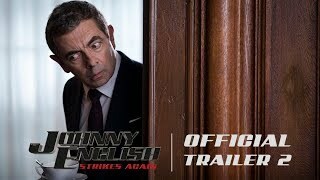 Johnny English Strikes Again - Official Trailer #2 - In Theaters October 26. MI7 is being targeted by a massive cyber attack from an unknown entity, exposing the identities of all its current field agents. As a result, MI7 is forced to reinstate older inactive agents in order to track down the culprits behind the attack. Among the reinstated agents is Johnny English, who officially works as a geography teacher while secretly training his young students in espionage. After accidentally incapacitating the other agents, English insists on being given the services of his old sidekick, Bough, who is still a clerk in MI7. English and Bough travel to the south of France to begin their investigation, where the cyber attack roughly originated from. They locate a yacht named Dot Calm in a marina nearby and try to board it during the night. There, they are caught by an on board operative Ophelia, but manage to escape their cell, find an array of servers and leave the yacht. The next day, they decide to stalk Ophelia. When they eventually spot her leaving the yacht, they follow her car on the serpentine roads of South France, until they run out of fuel. Ophelia, well aware of their pursuit, comes back and she and English agree to a meeting. Meanwhile, the Prime Minister is considering a meeting with a Silicon Valley billionaire, Jason Volta, to form an agreement. While English is meeting with Ophelia at a bar, Bough discovers evidence that suggests she could be a spy. English, now infatuated with Ophelia, however refuses to consider Bough's premise. Ophelia is shown to be in fact a Russian spy and receiving orders from her superiors to eliminate English. Fortunately, she fails to execute English, who manages to evade her attempts after accidentally consuming a pill that causes him to become hyperactive. 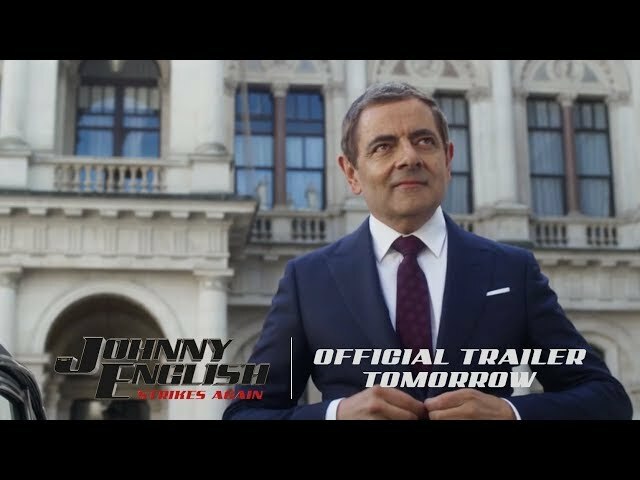 The film Johnny English Strikes Again was scheduled to be released by Universal Pictures on September 14, 2018 (Venezuela), on September 20, 2018, on September 21, 2018 (Spain), on October 5, 2018 (United Kingdom), on October 10, 2018 (France), on October 18, 2018 (Germany) and on October 26, 2018 (United States). The duration of the film is 89 minutes. With a budget of $25 million, the film grossed over $158.8 million.